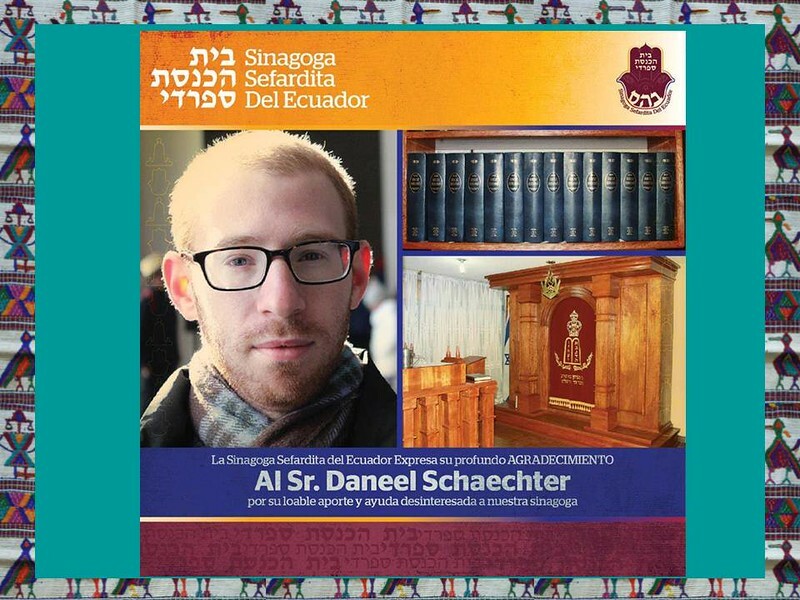 At 24 years old, Daneel Schaechter of New York, NY, is Kulanu's youngest board member (he also manages many communities in Central and South America as our Regional Coordinator for Latin America); he has been volunteering with Kulanu since his senior year of high school (that's approximately seven years now! ), and even recruited his younger sister to be part of the Kulanu video. His many accomplishments in the Jewish, Anousim/Crypto-Jewish and Latin American worlds are impressive, and we are proud to be honoring him this year with this Kulanu Tribute Journal (see the full announcement at http://www.kulanu.org/tribute). Thanks to Louise Spergel for designing this album.